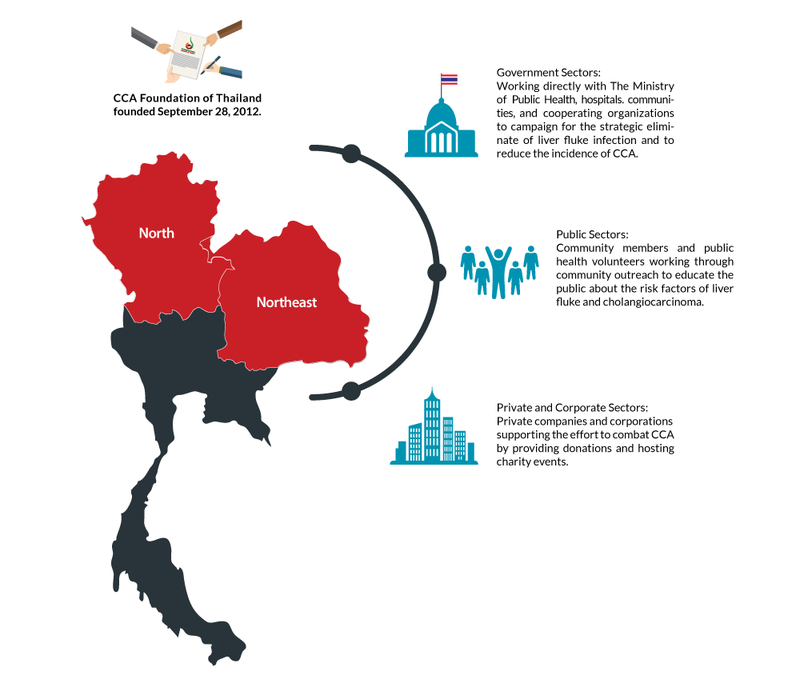 Starting in 1950, there have been numerous programs carried out across Thailand to combat both liver fluke infections and CCA, however, they have not been successful in reducing the incidence of either. Currently the Ministry of Public Health has assembled all major cooperating organizations including government sectors and local public sectors to launch the campaign “The Strategy for Eliminating Liver Fluke and Reducing CCA”. The Cholangiocarcinoma Foundation of Thailand was established on the 28th of September, 2012 with the aim of mobilizing the public sector directly in the fight to prevent and cure cholangiocarcinoma.